Sparkfun have stopped producing their useful AVR Programming Adapter board, so we have created our own breakout board. 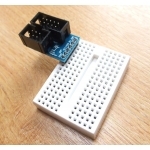 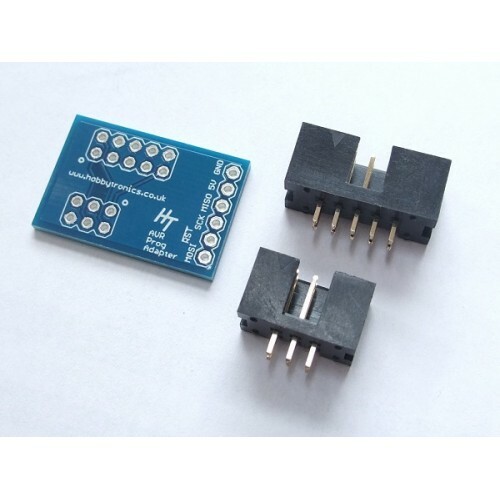 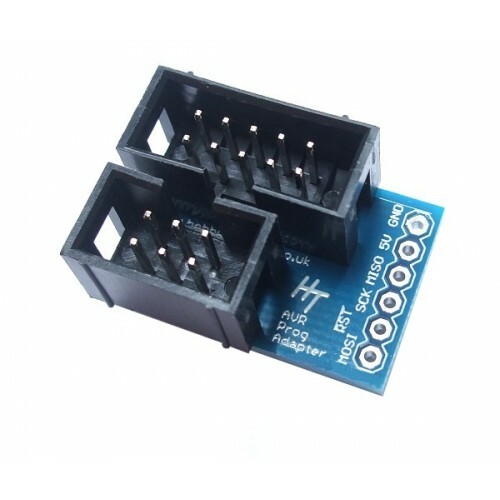 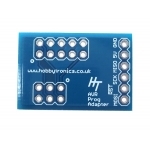 The AVR Programming Adapter breakout board is a simple, but extremely handy board to adapt the common 10-pin ISP programmers to the smaller 6-pin ISP connections (2x3 IDC socket). 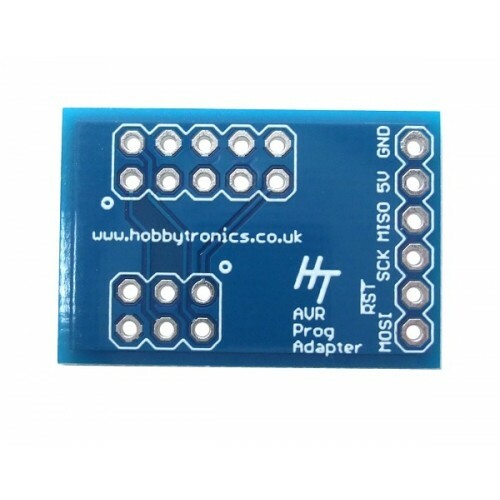 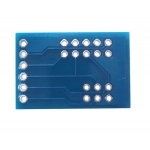 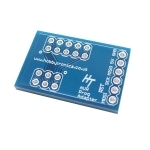 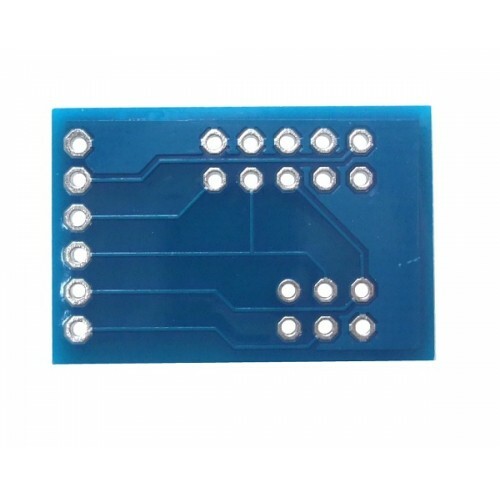 For the 6-pin inline connector just buy a 36 way single-row header (see Related Products), cut-down and solder so that you can insert this board directly into a breadboard! Pin 1 indicators show how the AVR-PG1 and PG2 should be oriented.